GO BAMBOO Toothbrushes are perfect for the whole family. BPA-free and available in adult and child sizes …they also clean your teeth really well. 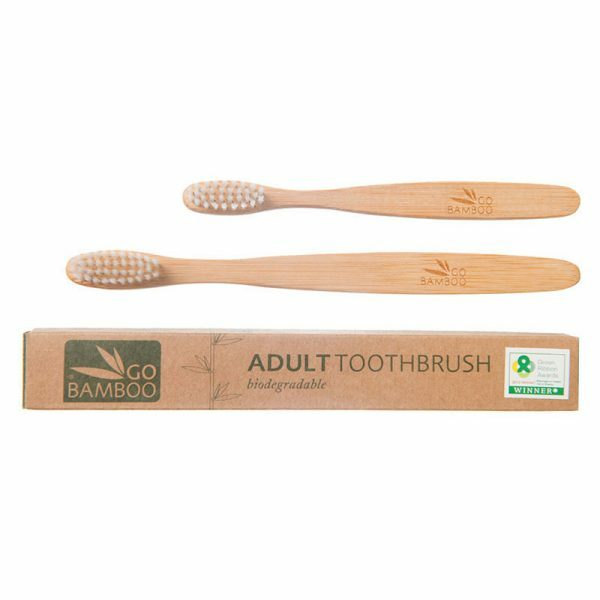 Made with a biodegradable and recyclable natural bamboo handle sealed with an edible wax and dual length soft to medium bristles. Each toothbrush comes packaged in a sealed recycled cardboard box. Inspired by the beach, the Go Bamboo toothbrush is a natural bamboo colour a little like driftwood. You’ll need to mark your toothbrush to differentiate it from others in your household.